At at undisclosed point in the future mankind is beginning to augment itself with technological implants, connections to the web, prosthetic limbs and eyes. The goal of putting a brain into a cyborg body is the next stage of human advancement and perhaps its greatest challenge. The Major is the first of her kind, a cyborg body that can think, feel and exhibit all human traits because it has a human brain at its core. Because this is the future she is supposed to be the ultimate weapon and light the way for more of her kind. She is assigned to Public Security Section 9 where one of her assignments causes her to question everything about herself. I love Ghost in the Shell. I am a *huge* fan of the original Ghost in the Shell anime by Mamoru Oshii, and its sequel Innocence. I also really enjoyed the Stand Alone Complex series and films that were released in the early 2000s. I was less impressed with Arise but it was entertaining enough. I think the franchise's strength is in the world that they have created, not quite a dystopian future, but one where technology is part of everyday life for good or ill. Within this world stories and ideas can be explored intelligently e.g. what does it mean to be alive or how does society cope with an aging population? 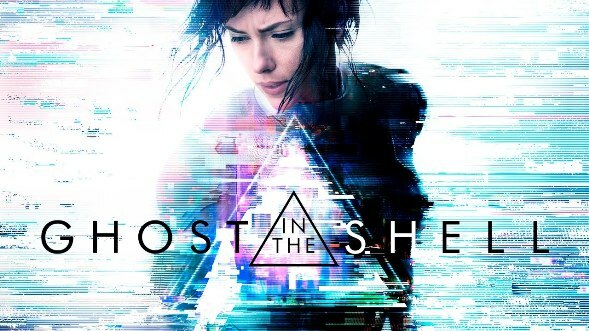 As such I went into seeing the live-action incarnation of Ghost in the Shell with some trepidation. Would it be "Hollywood-ised"? Will it look and feel right? Would the story engage me? Ghost in the Shell (2017) is directed by Rupert Sanders and whilst it says it is based on the manga by Masamune Shirow the film owes its inspiration more to all existing Ghost in the Shell anime and this is where some of its problems start. The live action version is a mixed bag and upon exiting the cinema I was assaulted by a set of conflicting thoughts and feelings about what I had just seen. The title brings with it a lot of baggage and I am a big fan so in many ways it could not live up to the hopes of the creative team behind the film. The world they have built is wonderful to look at. It is part Blade Runner, Ghost in the Shell, Innocence and Macross Plus. We have holograms, sky-scrapers and bustling streets. I loved how the city outline was defined by both the buildings and the adverts shaped around them. The city seemed to move and be alive on a large scale. It was as if it was its own character. I liked that they kept the feeling that the city of the future was not a gleaming metropolis. You definitely got the feeling that down some alleyways dodgy activities were happening. 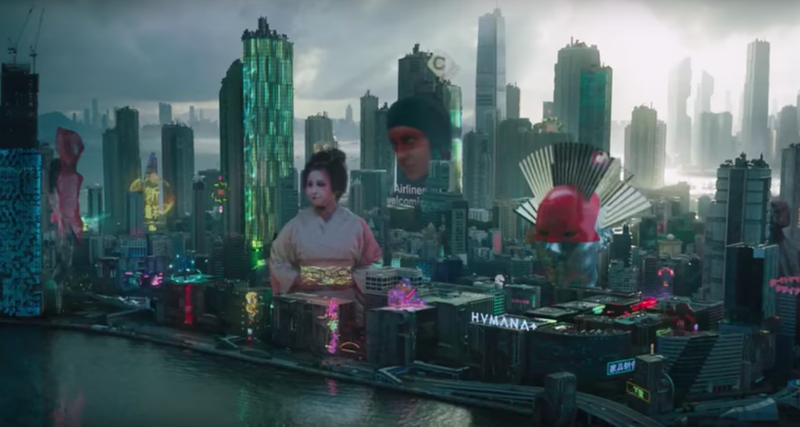 There are of course also nods to the designs from the Ghost in the Shell anime in both the vehicles and the background characters. Early on we see the red-clothed technicians with fantastic portable display system and hints of the robotic administrators. It is also populated with people from all over the globe which creates a vibrant atmosphere. It is a very believable and well realised world that has been created for the film. I just wish they could have done more in this world than what they ended up doing. As I don't want to spoil anything I won't discuss the story other than to say it was a bit confusing. By that I mean I'm not sure who this film was for. It felt as if Sanders and the creative team had binged on Ghost in the Shell animation and manga and picked out a load of story threads and decided to incorporate all of the classic or iconic scenes into around 90 minutes. For those of us who know the world this wouldn't be so bad but those unfamiliar with the world need a way in. This comes in the form of a kind of origin story for the Major. When these characters, story threads (which in the sources often take significant time to develop), iconic scenes and origin all collide we get something wholly unsatisfying. It is not bad, it's just ... unsatisfying. None of the stories or characters are really able to breath or develop which is a shame. Had they chosen to do an origin story for the Major or any one of the other plot threads it would have been a much more satisfying feature film. This wold then have given scope for it to ponder or pose the questions that this franchise suggests. We spend most of the feature with the Major and Batou but are also introduced to some of the other Section 9 crew - Togusa, Saito (very briefly) and Aramaki (who was played by 'Beat' Takeshi Kitano who seems to have the most fun with his character). The characters are different to the anime but in the anime versions the characters change - none more so than the Major across them. They all looked like they belong doing what they do, where they do it. As the characters move from set-piece to set-piece (often from the original anime) we don't get character interaction or the development of themes. It is as if someone suggested that all people wanted to see were the iconic scenes with actors. Whilst they are fine and at times quite pretty to look at - there is no heart to it. The film is well acted with Scarlett Johansson showing the difficulties the Major has fitting in and giving her an otherworldly quality. At no point did I think she didn't fit the character. 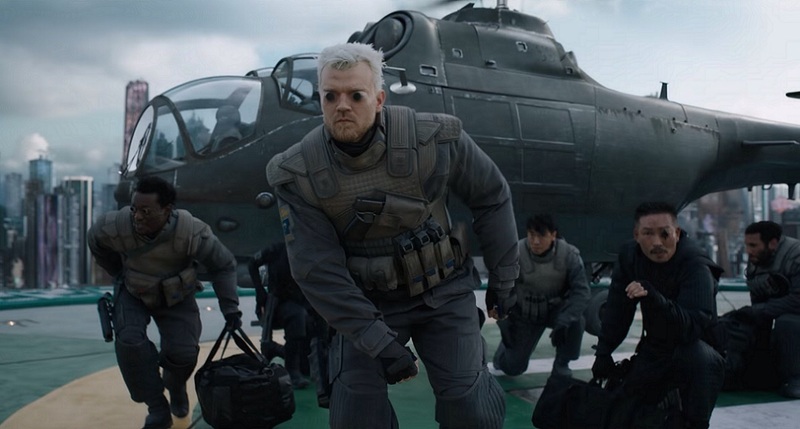 Pilou Asbæk does a good job at Batou conveying a set of mixed feelings for the Major, but for me his voice will always be Richard Epcar (so petty I know!). In general the CG animation and characters look good and nothing about the performances of the real or artificial take me out of the film. I know there has been a lot of discussion about white-washing in Hollywood. I had no opinion one way or the other with the casting of Scarlett Johansson as The Major. Yes, it could have been appropriate to have a non-Western actor playing the lead as it is set in an undisclosed country in Asia (much like the anime), perhaps Rinko Kikuchi from Pacific Rim. Given that they would need a significant budget to pull off the effects I appreciate why they made the choice they did. Had it been a lower budget affair I suspect the casting could and would have been different which would have given us a very different film in the process. I tend to agree with Oshii's point of view in that the Major is a cyborg and "Her physical form is an entirely assumed one". As she has changed appearance so much she is often the least Japanese looking of anime characters. I have mixed feelings about the live-action Ghost in the Shell. The world that is built looks great and the cast fits within the world they have created. There are nods and references to the anime which of course I enjoyed seeing. The issue I have with it is that in plundering the animated entries and taking a set of Ghost in the Shell stories and crashing them with a kind of origin story they created something that looked kind of right but had no heart. Had they remade the "original" it would have been fine. Equally, they could have easily set a new story in this world as it is certainly big enough to take it. I think because it mixes all of these elements where none of them really develop it seems to struggle to find its voice and therefore its audience. It is not the terrible film that some thought it might be I just found it to be a disappointing story. My final thought on the film is a description that has been used elsewhere it is appropriate - this film is a shell without the ghost.